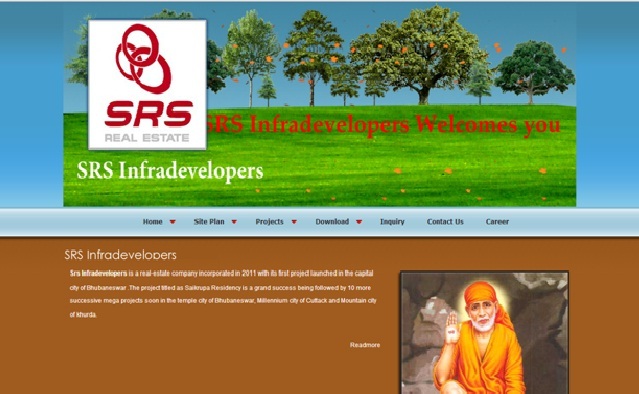 SRS Infra is a professional real estate development company in the temple city Bhubaneswar, Odisha. This company is committed to provide affordable housing projects like simplex, duplex, housing plots, villas, and commercial lands in the best locations of the state. This company has many experienced professionals like best supervisors, best contractors, quality sales and marketing staffs are working hard for their valuable customers. This company is targeting to provide mega residential projects at the major cities of the State such as Bhubaneswar, Old city Cuttack and Mountain city Khurda. The company’s motto is to deliver quality services and make the position one in the field of real estate and construction. Now the company is going with three mega projects - Sai Krupa Residency, Sai Cottage, and Sai Prava Residency. This project is located at Bhubaneswar, Odisha. This project is near to Bhingarpur X Road, Oxford Engineering College, Sudhananda College, Sudhananda Vidyalaya. The specifications of this project are RCC Structure with predefined architectural drawing, Foundation -4’0x5’0 depth from original ground, Plinth – 4’6x5’0 height, Walls – Fly ask bricks in cement mortar, Plastering – 12mm to 16mm, Flooring, Bathrooms, Doors, Windows, Electirc works, Terrace parapet, Kitchen with granite stone, Painting, and other miscellaneous works. The features of this project are approved by BDA, community hall, 24 hrs water supply and Security. This project is located at Bhingarpur X Road, Bhubaneswar, Odisha. This project is very near to NH-5, Police station, post office, airport, Railway station, Bus stand, and Market complex. This project is build with modern International facilities such as temples, play ground, community hall, gym, generator and lift facilities, and market complex. Sai Prava Residency, Hanspal, Bhubaneswar, Odisha.